I just had the most amazing experience ever!! 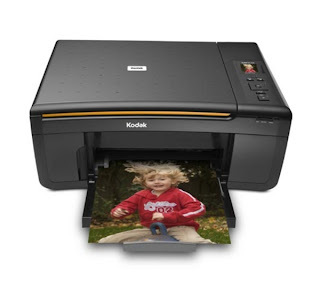 My Kodak All-in-One Printer shot out on me. Kept telling me it had a paer jam, Well it didn't. 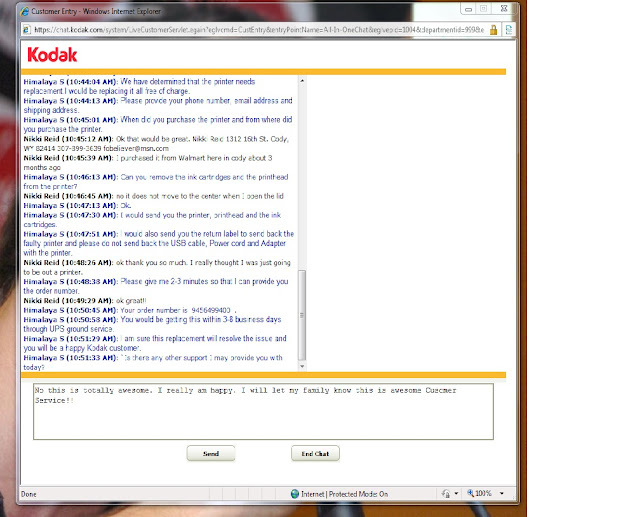 I did the online chat with their customer service! Not sure if you can read it all but they are sending me a new one FREE of charge!! This is awesome!!! I would totally recommend them. Who does this anymore. It's always like yeah you bought our stuff (sucker) sorry we can't help you now(sucker). Need to buy a new one I guess (sucker). P.S. I will be getting my craft on here shortly. I am working on a post currently! !